Art from ‘Spider-Man: Origin of the Hobgoblin’ by John Romita Jr., John Romita Sr., and Andy Yanchus. 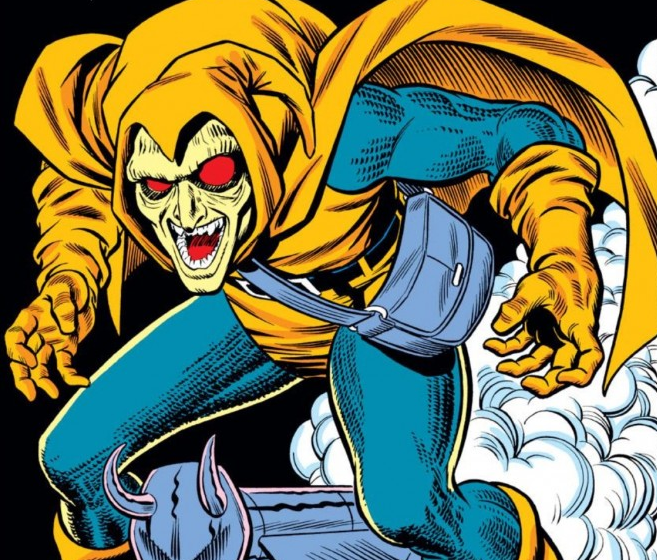 Gobbledygeek episode 350, “Spider-Man: Origin of the Hobgoblin (feat. Jed Waters Keith),” is available for listening or download right here and on iTunes here. Paul and Arlo continue to swing through this year’s superheroic Four-Color Flashback to discuss Spider-Man: Origin of the Hobgoblin, joined by FreakSugar managing editor Jed Waters Keith. This early ‘80s story, primarily written by Roger Stern and drawn by John Romita Jr., finds Peter Parker faced with the emergence of a horrific new villain in the grotesque figure of the Hobgoblin. Who is this masked man? Who knows! In true Parker fashion, Spidey tries to unmask Hobby while snapping pix for the Bugle and juggling his crazy love life. The gang discusses the convoluted behind-the-scenes drama surrounding the Hobgoblin’s identity, the evolution of JRJr, how Peter Parker is kind of a huge ladies’ man for being such a dork, and more. Plus, Paul attended this year’s Slayage conference, while Arlo and Jed are reading a whole mess o’ comics. Next: Jurassic World 2: Even Assic-er.